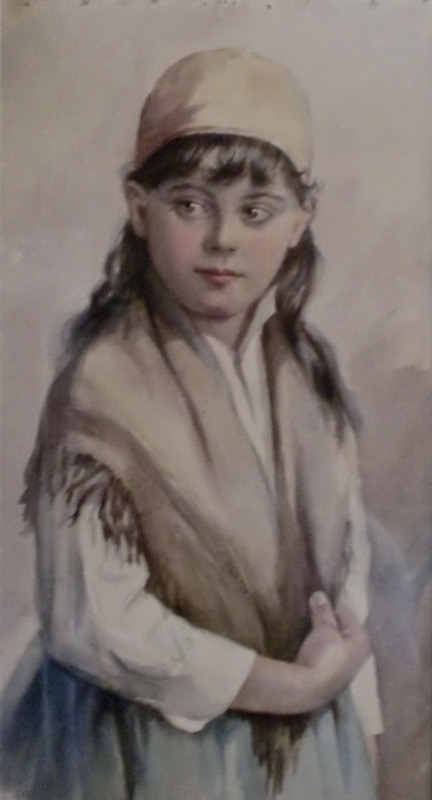 Austa Densmore Sturdevant, a little known American artist, lived from 1855 – 1936. 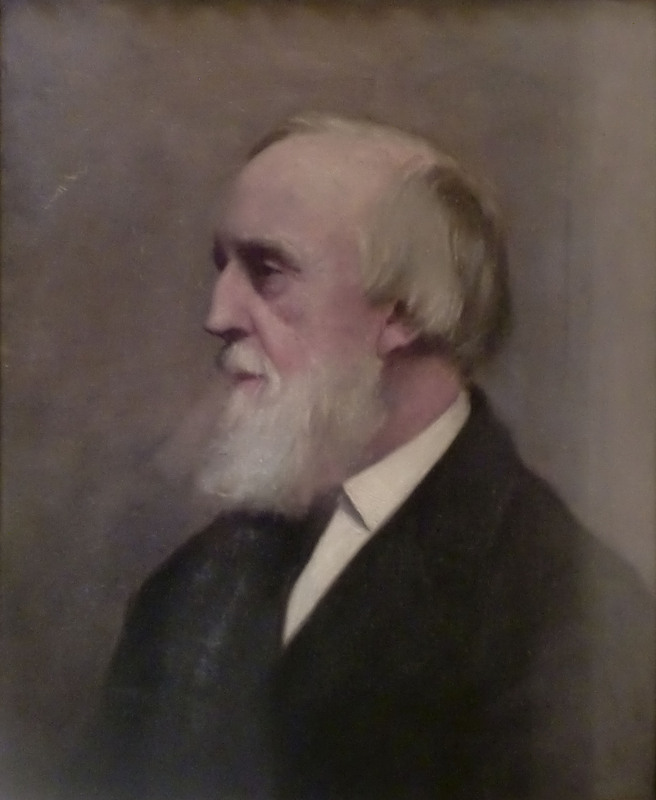 Internet searches reveal only one of Sturdevant’s portraits of her father, so I am pleased to bring to you several of her other works, as I am lucky enough to know their owner. 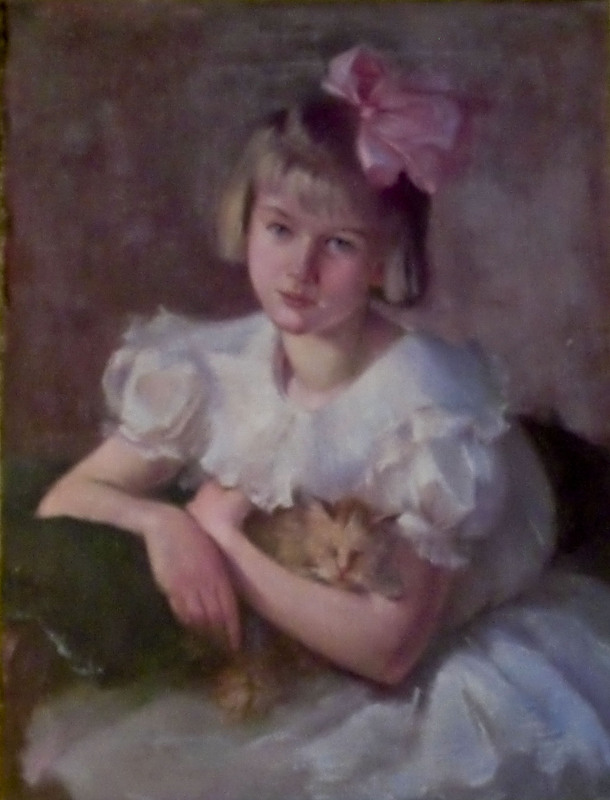 Her lovely portraits with creamy skin tones and her floral still lifes have remained in obscurity. A single catalog of her work was published in 1996 and is not available for sale. Unfortunately, with little light, about ten minutes, and a point-and-shoot digital camera, the image quality presented is quite poor. All of these canvases could use a good cleaning and re-stretching. 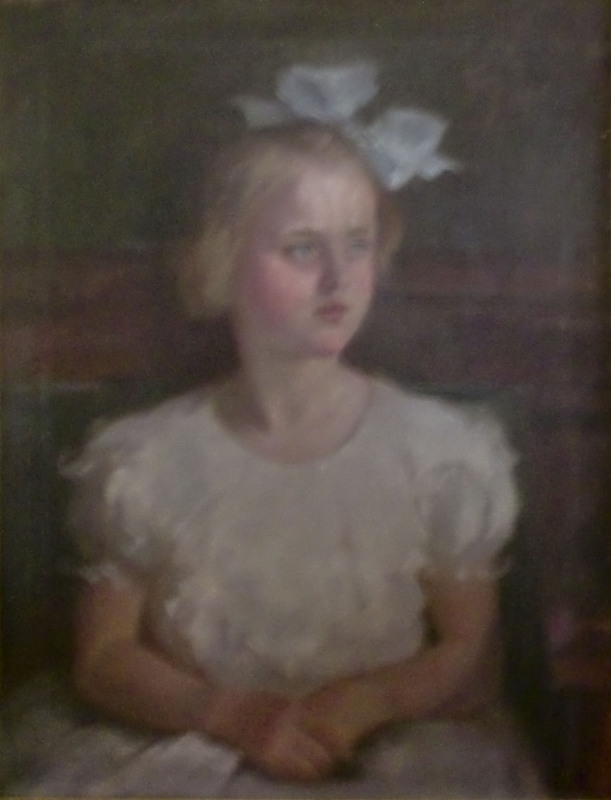 This grainy photograph is presented with pride, as the painting of Priscilla Densmore does not appear in the catalog of Sturdevant’s work. 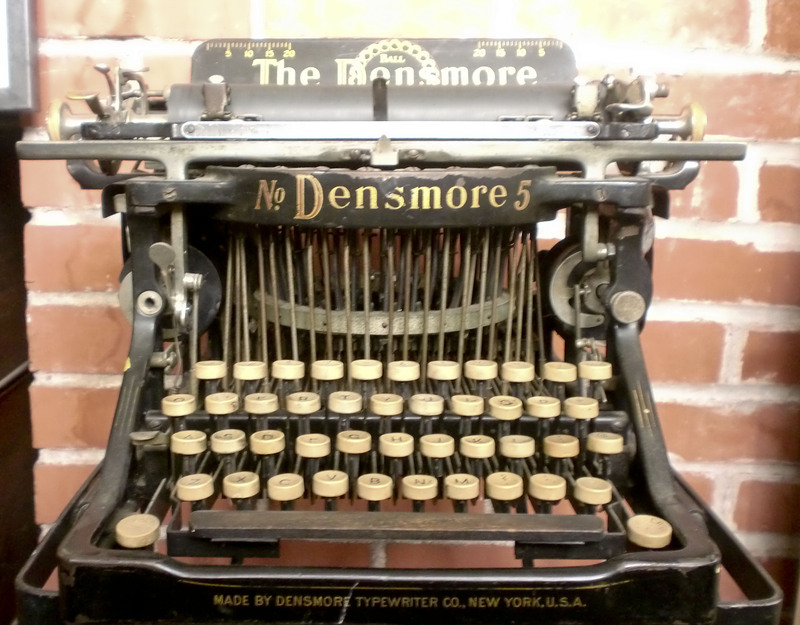 Sturdevant’s father, Amos Densmore, along with his brother Emmett, invented the original commercial typewriter, the Densmore. 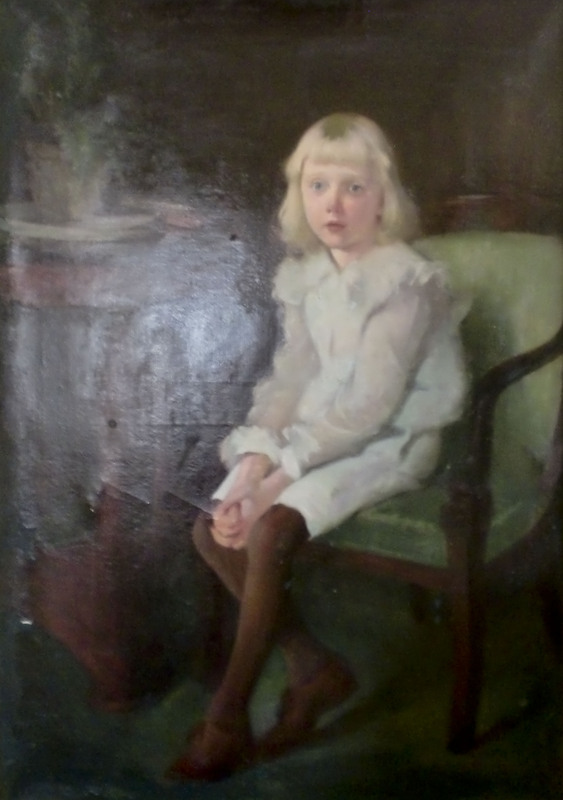 She painted several of his portraits. Two of the first Densmore typewriters remain in existence: one is at the Smithsonian, the other is in this collection, along with several more of Sturdevant’s portraits and drawings. Not exactly art history, but vastly interesting. 29 Feb	This entry was published on February 29, 2012 at 9:00 am. It’s filed under Art, Art History, History and tagged American Female Artist, Amos Densmore, Austa Sturdevant Densmore, Densmore Typewriter, portrait, Smithsonian, Typewriter. Bookmark the permalink. Follow any comments here with the RSS feed for this post. Thank you for commenting, Debra. How lucky you are to have some of her work. Are you a relative as well?